New York state has named two new writers as the state poet and author. Democratic Gov. 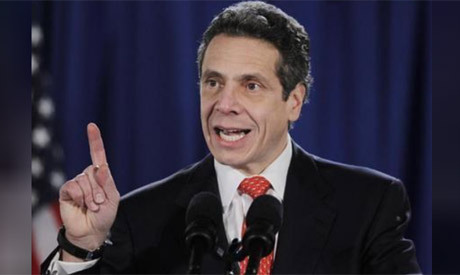 Andrew Cuomo announced Wednesday that Colson Whitehead will serve as state author and Alicia Ostriker will be state poet. Whitehead is a novelist whose most recent work is "The Underground Railroad." He will succeed former state author Edmund White. Ostriker has written 16 poetry collections, with her latest titled "Waiting for the Light." She takes over from former state poet Yusef Komunyakaa.